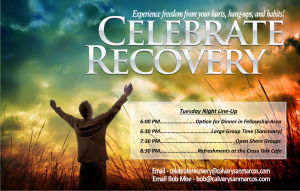 Celebrate Recovery is a 12-step, Christ-centered program for anyone struggling with addiction, hurts, habits, and hang-ups. We meet on Tuesdays @ 6:30 PM, with an option for dinner served at 6:00 PM. 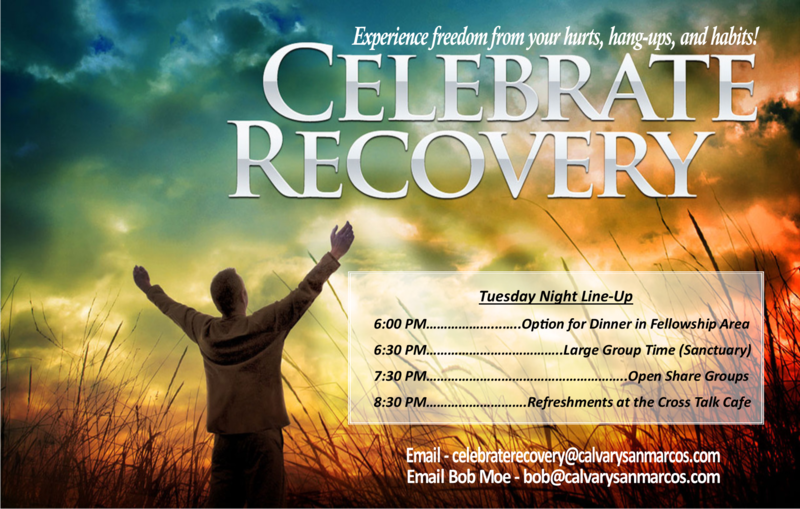 We keep Celebrate Recovery safe by maintaining the strict anonymity and confidentiality standard set by five small group guidelines, meeting structure, and DNA of the original Celebrate Recovery model at Saddleback Church in Lake Forest, CA.